If you have been listening to this podcast for any length of time, you know that I vastly prefer bodyweight, isometrics, and especially virtual resistance training over any other type! I do like heavy hands, where you walk along (preferable barefoot or in Xero type shoes on God’s green earth), grounding yourself electrically as you go, pumping small weights in your hands as you go, which exercises you panaerobically, meaning you are working as much of your musculature and your heart and lungs as you go. This is a great adjunct to the aforementioned training types, and can give you a total body workout in as little as 10-15 minutes. It’s intense! I do not like heavy weight lifting, or long slow distance types of running. I think they are dangerous long term, and result in injuries that will dog you into your old age- things like busted-up joints, torn muscles and injured tendons and ligaments that take a long, long time to heal. And I like super slow training, which is a system arrived at years ago by Ken Hutchins. In this form of training, you move very slowly as you do each exercise. Very slowly! Ken always recommended 10 seconds up, and 10 down. He normally used special machines with very low resistance within the mechanism, and his results were very impressive indeed. I have done it, off and on, for years, and I recommend you add it into your training mix. Only I recommend using it exclusively with body weight exercises, not with weights at all! Pushups are perfect for this regimen: Start with a standard pushup. Let’s say you do sets of 30- do a pushup really, really slowly- it doesn’t have to be 10 seconds necessarily, but that will work wonderfully. Start with 5 up, 5 down; if you are new to this that will be plenty slow enough! If you can do 30 at a time, I’ll bet 5 pushups done super slow will be more than enough! It is that grueling, and that effective. You can try it with chin-ups or pull-ups, but if you can do one real super slow pull-up you are really, really strong! So, what are the advantages to super slow? Well, it is incredibly time efficient- if you are pressed for time to get in a workout, two sets of super slow pushups will do just about all you need for your upper body. Really! Add in one set of one pull-up, and if you can also do a super slow set of pistol squats, balancing yourself with a free hand grasping your gymnastic rings, and top it off with a super slow set of leg raises to parallel- well, you’ve accomplished an amazing workout in less than 15 minutes, probably more like 10 minutes! So, do I always work out in this fashion? No. For one, it does not pump the muscles with oxygenated blood as does a high rep set. And two- it is so grueling, psychologically, that on a regular basis I find that such training will just burn you out- you will find yourself dreading training! But, don’t throw out the baby with the bath water. On an occasional, or perhaps on just one exercise per session, it is fantastic- really hits the muscle fibers deeply. Especially if you are short on time, and really want a great workout, super slow is a great tool. Bottom line? Super Slow is…super! Socialism is NOT Paleo podcast! 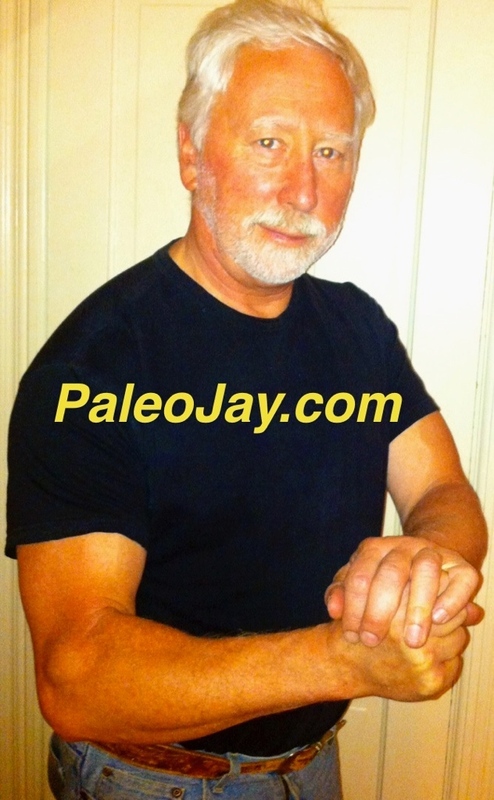 I woke up this morning with Paleo- On my Mind! When NOT to Work Out!